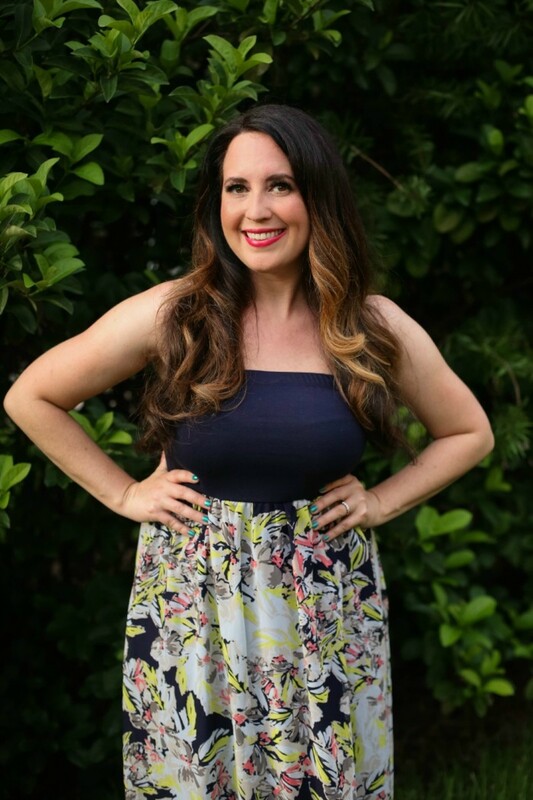 If I had to pick one go to look for summer, it would definitely be the maxi dress. I don&apos;t even know if I could count the number of maxi dresses that I currently have in my collection, but I can tell that they pretty much all come out to play in the summertime. There is something that is so darn easy about throwing on a maxi, a pair of sandals and little else but maybe a piece of statement jewelry. And that is why I keep on adding them to my closet. If you could see my hubs&apos; face every time I bring home another one...Haha! Now I know that some of you think you can&apos;t wear maxis...And I&apos;m betting that you&apos;re not exactly on the tall side. Well, let me tell you something...I&apos;m far from vertically blessed and I wear maxis all day long. The key is finding the right length and the right print. If you&apos;re after an elongating look, try a solid color, vertical stripe, even a diagonal stripe print. Now I don&apos;t always exactly follow those rules myself. I&apos;m a bold print kinda girl, so I rock those more than on the regular...But I do try to stick with the right length which is means my maxi grazes the tops of my feet. For this particular maxi centric ensemble, I chose a strapless print maxi dress that I picked up at Target and paired it with cream statement earrings from one of my favorite local boutiques. 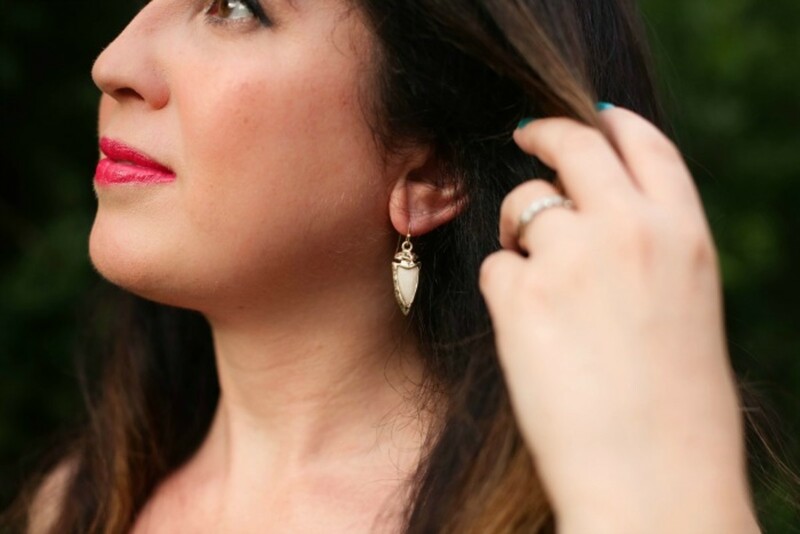 I&apos;m a big fan of statement earrings in the summer simply because we are dealing with some seriously hot temps this time of year and swingy statement earrings don&apos;t weigh me down. That&apos;s what&apos;s so great about statement pieces. They make a big impact so you don&apos;t need to load up on other accessories! Tell me...How do you fell about maxis lovelies? Are they an integral part of your summer wardrobe too?